Calendar: «World Day for Safety and Health at Work», «Ohio Public Safety Employee Day». «A state of mind» illustrated quotation. Safety and Health at Work, free quote pictures for Facebook, Twitter, LinkedIn, Reddit, Pinterest and other social networks. 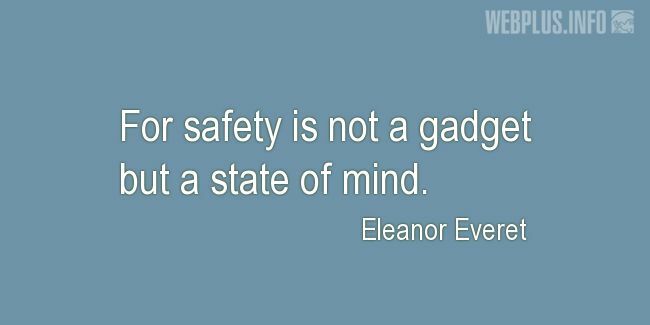 For safety is not a gadget but a state of mind.